Avocado Toast and Yogurt Parfait Bar! Just part of the lunch that we served at our #PBJsatFNCE event last month in D.C. 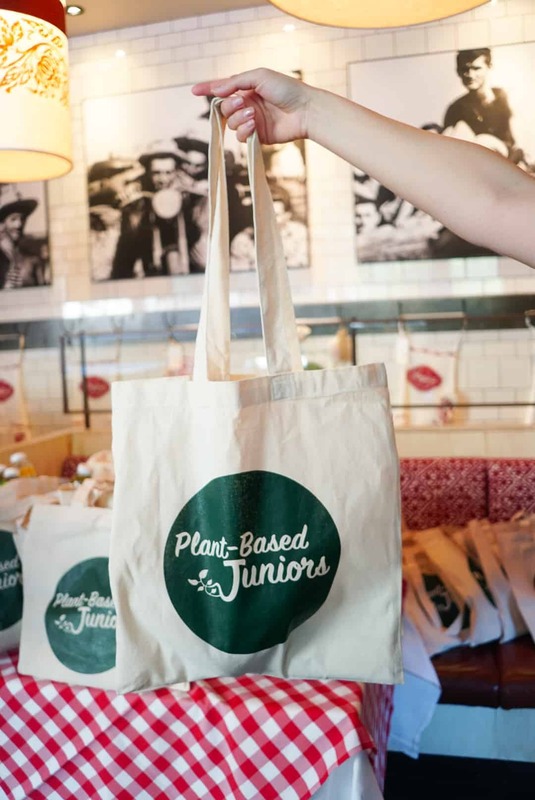 In D.C. last month we officially launched Plant-Based Juniors, our new platform that helps parents who want to raise healthy, conscious babes. 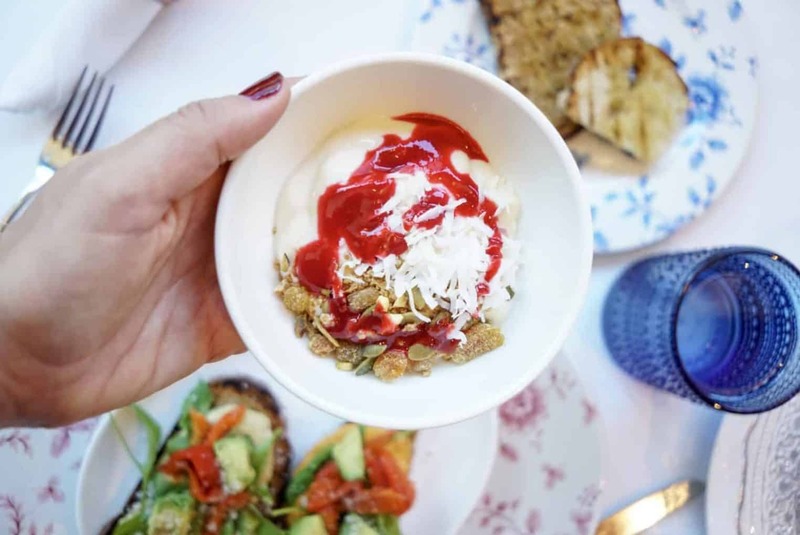 I first introduced you to PBJs earlier this summer with the announcement of our first ebook, and it felt awesome to share that same story with our dietitian colleagues. As most of you know, I become a mom last year to my sweet Vander and to say it’s changed my world wold be the understatement of the year. Motherhood has changed everything, mostly for the better. 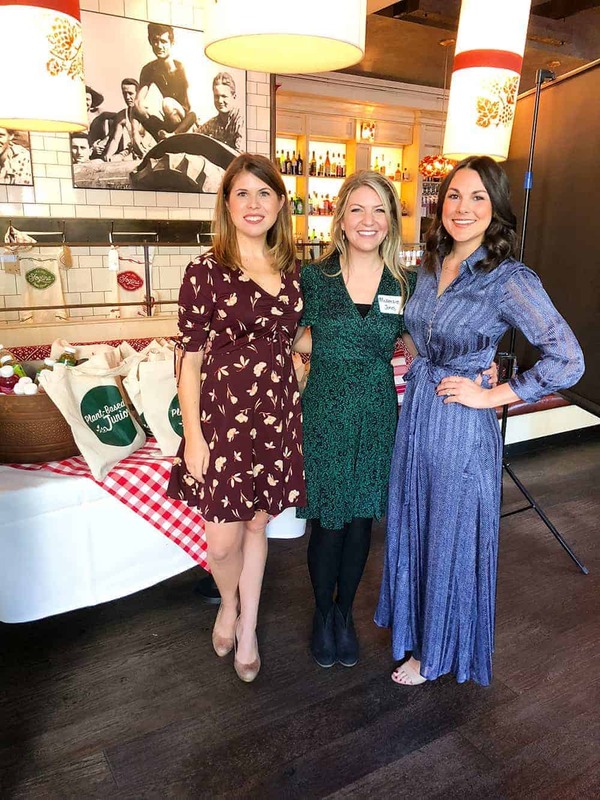 Last month, we hosted a launch lunch at the annual dietetics conference for 35 other dietitians to celebrate the new venture and to myth-bust common thoughts around raising plant-based children. The National Processed Raspberry Council and HOPE Hummus sponsored the lunch and allowed us to serve the most incredible buffet (see the menu below!) 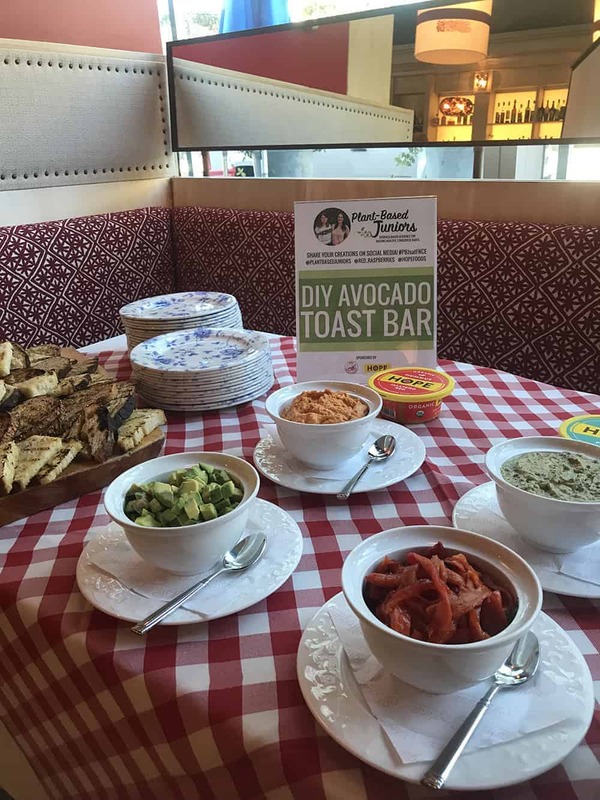 In addition to yummy vegetable sides, we had a DIY avocado toast bar & a DIY vegan yogurt parfait bar. Both were a big hit with all who attended. Even though per-capita meat consumption is up, there is large growing trend towards plant-based eating. 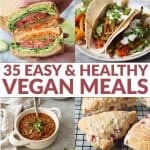 While the percentage of americans who identify as strict vegetarian or vegan are still relatively small, the trend of eating more meatless meals continues to grow year after year. Obviously, that translates into family meals as well. One thing that we know from surveying our Plant-Based Junior’s audience is that many parents have gotten the message that eating more plants is the best thing they can do for reducing chronic disease, longevity and the health of the planet. Even though most of our audience doesn’t identify as strict vegan or vegetarian, they want to start their children off on the right foot. Children eating plant-based diets typically have lower intakes of cholesterol and fat, higher intakes of fruits, vegetables, and fiber, are leaner and have lower cholesterol levels. We know this all to be true, yet there is still a lot of confusion out there about the safety of raising plant-based kids. I remember feeling the same way while pregnant! Our Menu! This meal was SO delicious; everyone loved the avocado bar & parfait bar. Also, the cauliflower was insane. Myth: Children need dairy to form strong healthy bones. Fact: Strong bones are dependent on a combination of factors – proper nutrition and exercise being paramount. However, kids don’t need cow’s milk to get the nutrients required to build healthy bones, they can get everything they need from whole plant foods. The most important nutrients involved in bone mineralization are calcium, vitamin D, and vitamin K.
Both calcium and vitamin K are found in leafy green vegetables and vitamin D is synthesized in our body from sunlight or can be supplemented in the diet. The vitamin D found in milk, for example, is added not naturally occurring. Myth #2: Calcium in plants is less bioavailable than in milk. Fact: In fact, the bioavailability of calcium in some cruciferous vegetables is actually twice as high as milk. Which is why we encourage consumption of these vegetables for all kids. Tofu, soy milk and fortified products have the same absorption as milk. And, fortified soy milk contains the same amount of calcium as dairy milk. 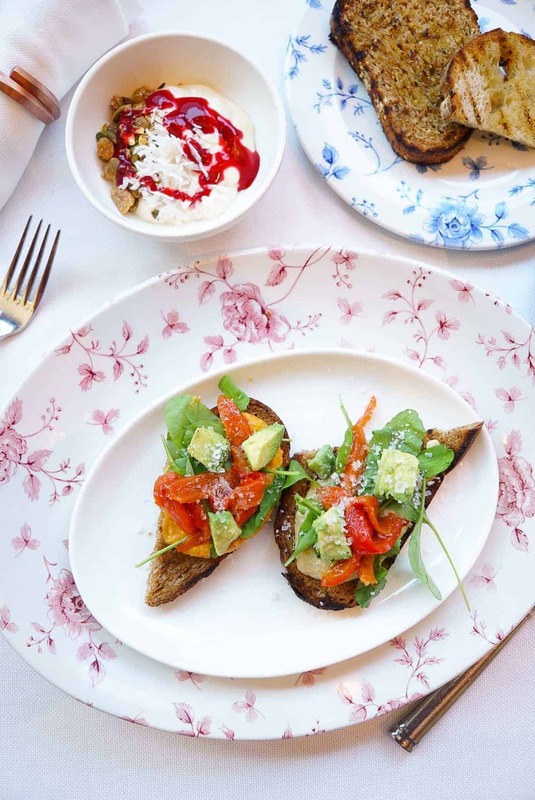 DIY Avocado Toast Bar! 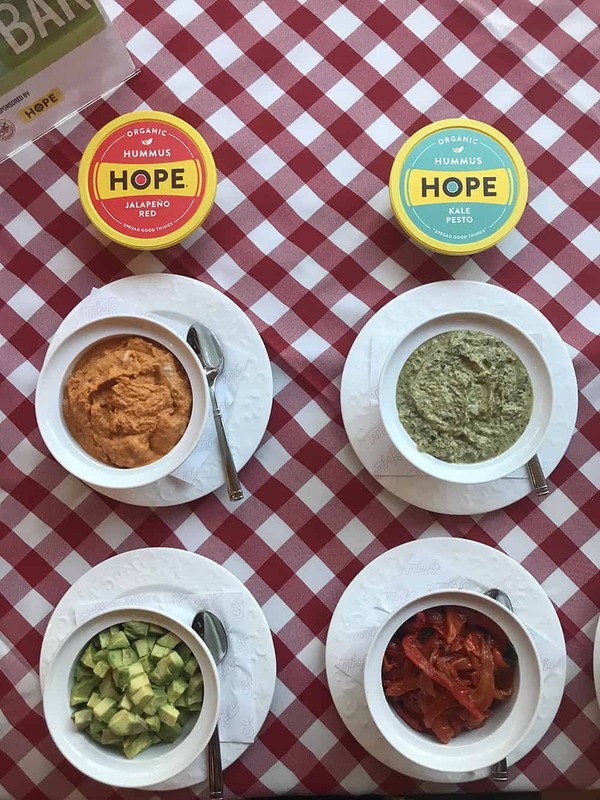 Sponsored by HOPE Hummus. Myth #3: Kids won’t get enough iron with a plant-based diet. Fact: Iron is a topic of concern for many parents, and rightly so. Estimates are that 8% of all children and infants are iron-deficient, whether or not they eat meat. Iron is found in many plant sources and while it is less bioavailable, A small serving of a vitamin C-rich food—like a glass of orange juice or ½ cup of cauliflower—has been shown to increase iron absorption from plant foods by as much as four to six times! That’s a lot, and I’ve got pairings of kid-friendly sources of iron + vitamin C below. DIY Yogurt Parfait bar with raspberry sauce, shredded coconut, golden raisins. Delicious! Last one! Myth #4: Kids can’t meet their protein needs on a plant-based diet. You might be surprised to realize how little protein kids actually get. The average 2 year old only needs about 13g of protein per day, which is easily met in just 2 cups of soy milk alone- without any other foods. Plenty of kid-friendly plant foods are high in protein: whole grain bread, pasta, tortillas, beans, tofu, veggie burgers, veggie hot dogs and more. 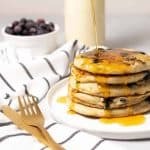 What questions do you have about raising plant-based juniors? If you’re looking for more information and resources on raising plant-based babes then you’ll want to grab up our ebook, First Bites: The Definitive Guide to Baby-Led Weaning for Plant-Based Babies. 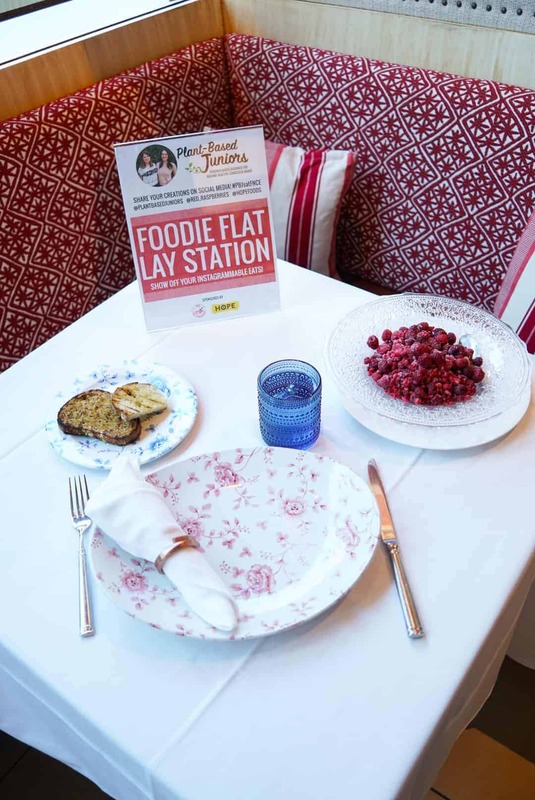 A “Foodie Flat Lay Station” to participants could show off their yummy eats. Swag Bag! We gave away HUM supplements, Suja Juices, recipes using frozen raspberries, Made in Nature snacks and a membership to the app, Stop, Breath, Think. I’m super excited about PBJ and to read the ebook. I’ve been trying to do all my research on plant based eating for little ones to make sure my little girl is meeting all her requirements as she grows. She is almost 9 months now so it’s easy to make small meals for her in addition to breastmilk, but she will start more big kid foods soon. I’ve tried to find a dietitian that can help guide us, but unfortunately there aren’t any near me. I’m excited for what is to come with PBJ. Thanks Jenna! We’ve got some exciting things coming down the pipe– stay tuned! Are you following us on YouTube or Instagram? We offer lots of recipes and meal ideas for young babes. I dont use Instagram, but will definitely check you out on YouTube. Where can I find the research on which you based your recommendation to expose babies to known allergens to help them avoid allergies to those things eggs, dairy, fish. Just went vegan and was hoping to be keep my baby girl vegan but this kind of threw me off track when I saw it on PBJ Instagram feed. Hi Francisco, you don’t have to introduce your babes to potential allergens if you don’t want to. However, we do advise doing it as early, repeated introduction looks like it provides benefit to developing allergens: https://www.ncbi.nlm.nih.gov/pmc/articles/PMC4046529/ That article is a great overview on the history of food allergies and the benefits on early introduction. Even though we don’t plan on serving our kids certain foods, like fish or shellfish, cross-contamination can be deadly and they might decide they want to eat these foods later on. Therefore, we’ve chosen to introduce. Are you signed up for our newsletter at plantbasedjuniors.com? We are sending out more information on this topic next week. OMG! 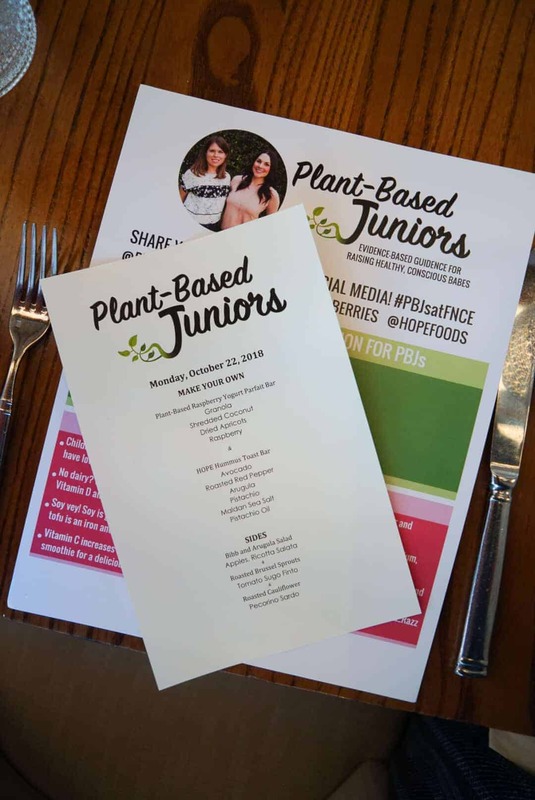 Thanks a lot for sharing such an informative page about “raising plant-based juniors”. I have read your valuable page and gotten much information. Your all images so excellent. I have learned a lot from you that I did not know before. I confused for choosing the Baby Nitration Foods information what would be the best for everything but now my confusion has cleared by your review. I hope your all information will help and my elder sister’s daughter. Thanks again Alex and Keep it up………..